Founded in Houston, TX in 2007, PREDICTif is a global provider of big data consulting, implementation, and services for the financial, insurance, manufacturing, telecommunications, retail and energy industries. For more than a decade, PREDICTif has provided services for Apache, McDonald’s, Metlife, China Offshore Oil and Toyota to name a few, and has gained extensive experience and knowledge in big data applications. PREDICTif provides the design and development of hardware and software systems for big data collection, cleansing, integration, normalization, visualization, analysis and predictive analytics, and is a recognized expert and pioneer in the Big Data space. PREDICTif is also one of the few strategic partners of MapR’s approved for sales and professional services as well as a marketing partner in China. Headquartered in San Jose, California, MapR is a leading global provider of big data platform software and applications. 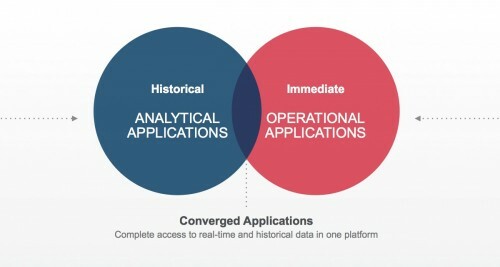 MapR provides the industry’s only Converged Platform, enabling customers to improve business results by combining analytics data into operational applications in real time to leverage the power of big data. Through MapR, enterprises have an unparalleled data management platform, to achieve digital transformation and attain competitive advantage. World-class companies such as Samsung, Audi, HP, Ericsson, United Healthcare, have leveraged MapR to achieve more than five times the return on investment. Amazon, Cisco, Google, Microsoft, SAP and other leading companies are part of the global MapR partner ecosystem. Having received $194 million from investors, including Google Capital, MapR has established more than a dozen branches in the world, and currently has a significant presence in the Asian Pacific market. PREDICTif is also actively pursuing global presence with the support of its parent company, Smith & Associates, a $1 billion electronics sales and distribution company, with particular focus on China’s business. PREDICTif and MapR are excited to participate in 2017 Big Data Expo in Guiyang, China. We hope to have the opportunity to share our collective experience in Big Data solutions for financial, insurance, manufacturing, telecommunications, retail and other industries as well as lessons learned in the implementation process. We look forward to working with our Chinese colleagues to gain insight in the direction of the development of Big Data technology in China. Together we will find the opportunity to promote the application of Big Data in Guizhou Province and in China at large.